Dream in Color...: Big News! 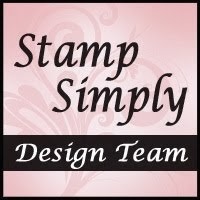 I'm so very excited to announce that I am part of a brand new design team: the Stamp Simply Ribbon Store Design Team! 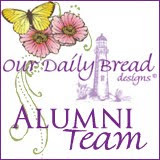 The other members of the team are: Sharon Johnson (Stamp Simply Ribbon Store), Holly McMillen, Michelle Woerner, Sherry Cheever, Linda Duke, and Barb Schram. I'm thrilled to be working with these very talented ladies! My design today features some new products over at the Stamp Simply Ribbon Store: JustRite's "Beautiful Blossoms Set," and items from the new "Webster's Pages Postcards from Paris" kit! This is one mouth-watering kit! Check it out here! What a versatile selection of 6 X 6" decorator papers! Take a look at these beautiful prints, as well as the gorgeous lace and velvet rick rack detail! I've layered the trim between Spellbinder Classic Oval die cuts for some added interest. Here's a closeup of the JustRite "Beautiful Blossoms" image. I stamped it onto some rustic cream cardstock with Memento Tuxedo Black ink (perfect for Copic coloring! ), then proceeded to color it with numerous Copic Sketch markers. I paperpieced the bow, shading it a bit with a Copic. As I mentioned earlier, Spellbinder Classic Oval dies were used for the three die cuts. Help us celebrate the birth of our new team by joining us on February 23rd for the first ever Stamp Simply Design Team hop! It will start at the Stamp Simply Ribbon Store at 8am EST. Oh my gosh, how thrilling! Congratulations Deb! Your card is gorgeous! Congratulations girl!!! I love all of Sharon's stunning ribbon, papers, justrite, etc. This card is so inventive..love that plaid bow...what a treat! You're a natural for Sharon's team, of course. What a beautiful card for your debut! Very awesome team Sharon has assembled. Enjoy, Deb! Deb, I am so happy to be on this team with you! Here's to a GREAT 2010!! Deb, as always, your card is gorgeous! Congrats on your new design team and keep the great work coming! Love the use of the brown checked paper...this kit has such a variety! LOVE your ribbon placement too!!! I am so thrilled to be working with you on Sharon's team! It's going to be a blast! Deb, this is such an awesome day. We are starting a new adventure together! I absolutely LOVE your style and this card is a perfect representation of that. Looking forward to fun times! Oh Debi... congratulations!!! I'm happy for you! You're going to be working with awesome ladies and fabuous products!!! Gorgeous card!!! Love that dp!! Wow! This is an amazing card.. i am so glad i found this blog..
Congratulations, Deb -- your card is gorgeous! Congratulations, Deb!! Your card is gorgeous as well!! Congrats Deb!! You will do an awesome job with those ribbons!!! This card is so beautiful!! I love your coloring and design! So elegant! Absolutely LOVE this card -- great use of the Velvet Zig Zag and Lace with your beautifully colored image!!! what best describes the structure of a cell membrane? and you will get an alarm whenever a new job with the languages you work with is live. Other than its posted jobs opportunities, Language articles and tutorials are available Are also provided resources to give a helping hand to translators in their jobs. We will answer all your questions and problems on our forum. Dream in Color...NOT JUST BLACK & WHITE! Welcome to my blog--as papercrafters, we're able to realize our dreams in color daily! I hope that you find inspiration from my dreams--thanks for stopping by. All content contained within this blog including text, photographs and designs are copyright Deborah L Saaranen. Contents are for non-commercial and personal use only.